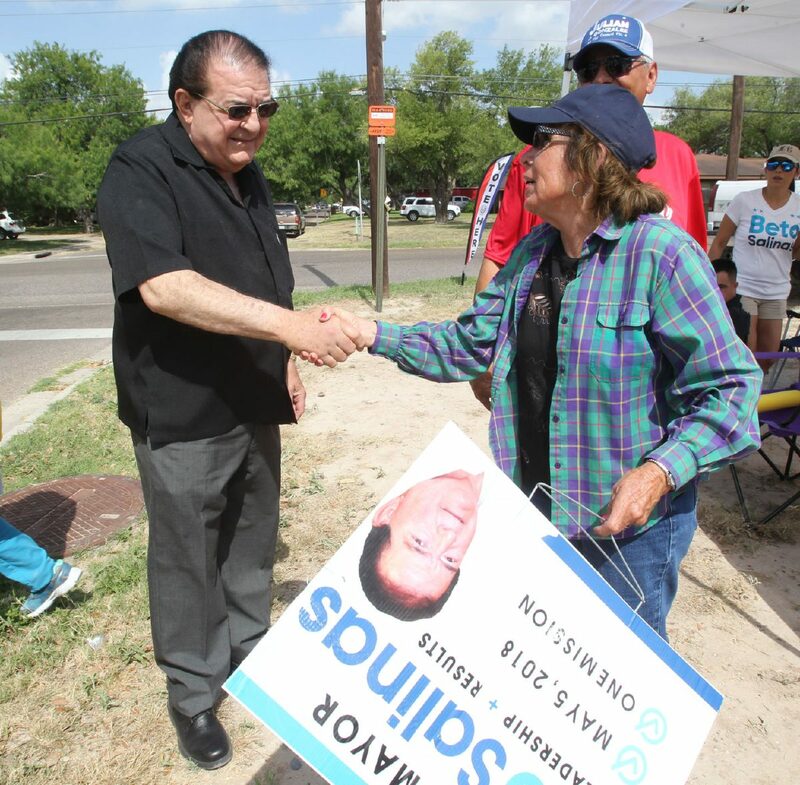 The lawsuit filed by former Mayor Norberto “Beto” Salinas against current Mayor Armando O’Caña will be heard by a judge with connections to the city. The election contest, which Salinas filed Wednesday challenging the results of the June runoff, has landed in the 93rd state district court which is currently being presided over by Jaime Tijerina, the former Mission deputy city attorney. Tijerina resigned from the city shortly before Gov. Greg Abbott appointed him to the court last month. O’Caña pointed out the judge’s connection to the city on Thursday when reached for comment on the lawsuit. Beto Salinas greets Irma Mena a long life supporter of Salinas, during run-off elections for mayor for the City of Mission Saturday, June 9, 2018. “What a coincidence,” said O’Caña, who added he would be requesting that Tijerina recuse himself from the case. Though O’Caña viewed Tijerina’s assignment to the case as a potential conflict of interest, Tijerina pointed out that Mission has a council-manager form of government. Salinas alleges at least 158 “illegal voters” were allowed to cast ballots in the runoff, the results of which ended his 20-year tenure as the city mayor by 157 votes. Salinas did not return a request for comment Thursday. 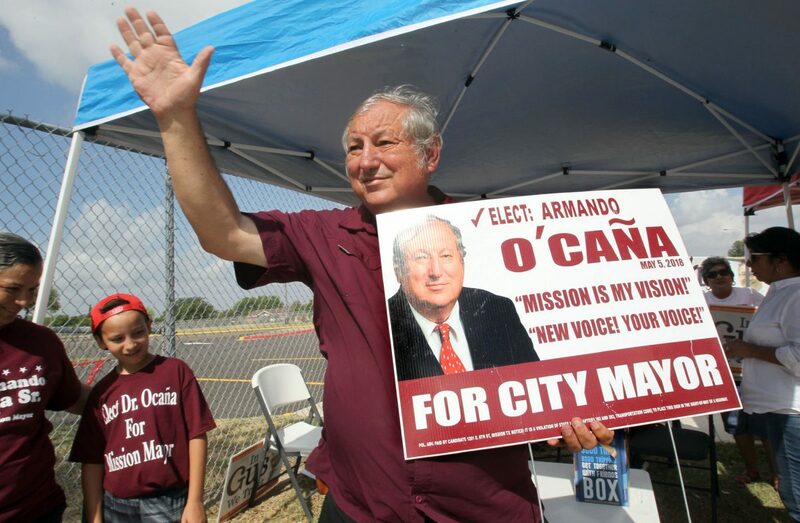 The lawsuit also questions O’Caña’s residency, an issue that came up during the campaign, accusing him of residing outside the city limits on Shuerbach Road. O’Caña has maintained he lives within the city limits, off of Greenlawn Street. He said he has not yet hired an attorney to represent him in the lawsuit and would reserve further comment until he had been served. “Right now we’re looking at all options,” he said.